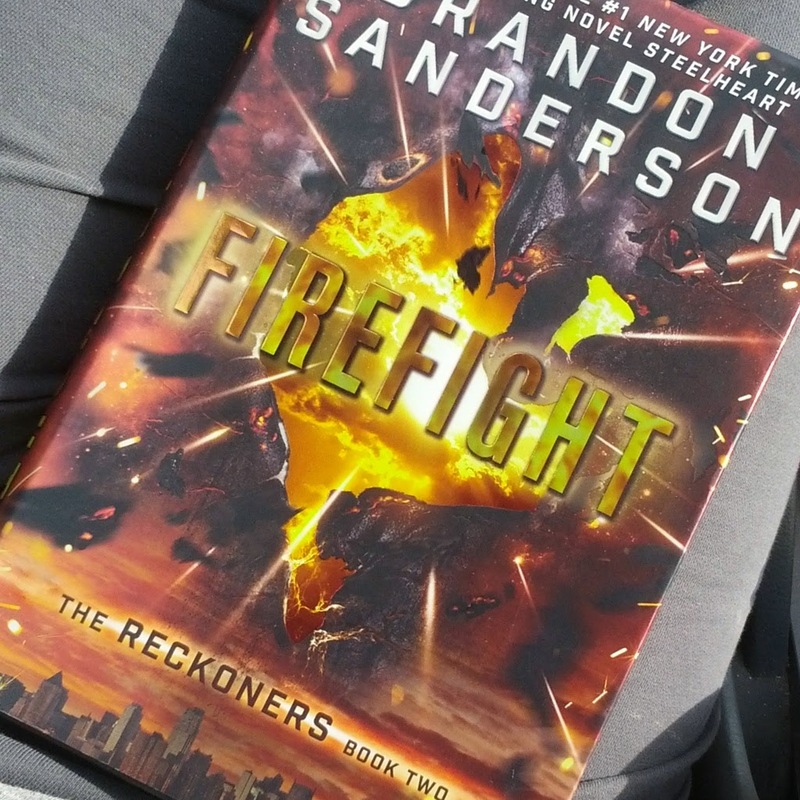 This is the second book in Brandon Sanderson's Reckoners Series. The first one was Steelheart. This one was also so good! I won't say much about plot summary because this is definitely a series where you should read the first book first. I will talk writing, though. I found myself appreciating the writing when our narrator, David, was describing a new place. Instead of smelling like something in particular, it smelled some way compared to what his past experiences would have been. I appreciate things like that. It really adds believeability to the narrator, and therefore makes it easier to believe the whole book. This book was really enjoyable, and that's saying something for a second book. As we all know, second books are horrible about ending in a satisfactory way. This one did a good job though -- some super interesting progress was made in the storyline, for sure. I probably can't recommend it more strongly than this: This is the only YA series I'm reading right now. I'm finding myself drawn more to other genres right now -- so much so that I've left other YA books that I'm interested in on the shelf. Not this one. Do yourself a favor and read it. I like it better than The Hunger Games, better than Divergent (for sure), and better than a bunch of other books too. Ok guys. I blogged. Been having some hangups with that -- I believe they call it perfectionism when you just want to do everything right but it prevents you from doing the thing? Babysteps. Edited to add: Here is an affiliate link to the book. If you make a purchase through this link, I earn a small commission at no extra cost to you. Happy reading! So good! I loved seeing David and Megan's relationship develop. me, too! and other relationships and how they developed were interesting as well.